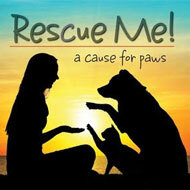 Rescue Me!, a very special project featuring some of acoustic music’s most respected and gifted artists and songwriters. Each of them donated a track, and Blue Night Records will be donating all of the profits from CD sales and full disc downloads to animal welfare organizations. Twelve tracks in the compilation, six about cats and six about dogs. Prerelease copies available now from Elderly Instruments. Official release date is April 30, 2017 — National Adopt a Shelter Pet Day.